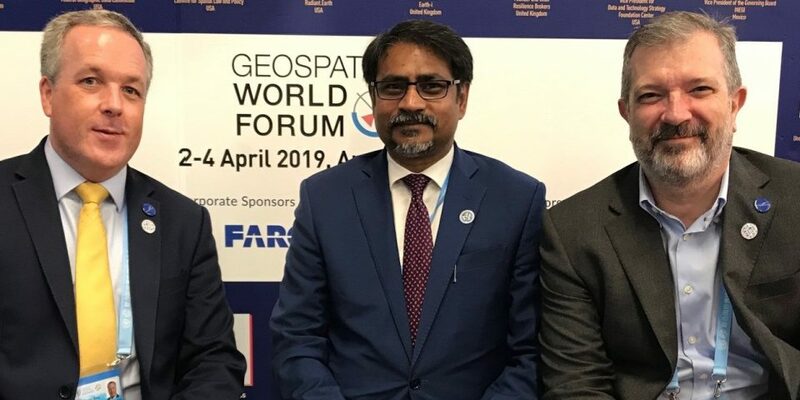 EuroGeographics and Geospatial Media & Communications have entered into a strategic partnership for Geospatial World Forum 2019. Colin Bray, President of EuroGeographics and Sanjay Kumar, Chief Executive Officer of Geospatial Media & Communications signed the agreement during the United Nations World Geospatial Information Congress in Deqing. “As the official bodies responsible for national cadastre, land registration, geodetic surveying and mapping activities in Europe, our members fulfil an essential role providing official, definitive and detailed geospatial information,” says Mick Cory, Secretary General and Executive Director, EuroGeographics. EuroGeographics is an independent international not-for-profit organization representing Europe’s National Mapping, Cadastral and Land Registration Authorities. The organization currently brings together more than 60 member organizations from 46 countries. EuroGeographics supports the public good by representing our members’ interests, maintaining networks that help our members improve their capabilities and role, and by facilitating access to and use of our members’ geospatial data and services. By providing a single point of contact, we enable government, business and citizens to benefit from their collective expertise, products and services.